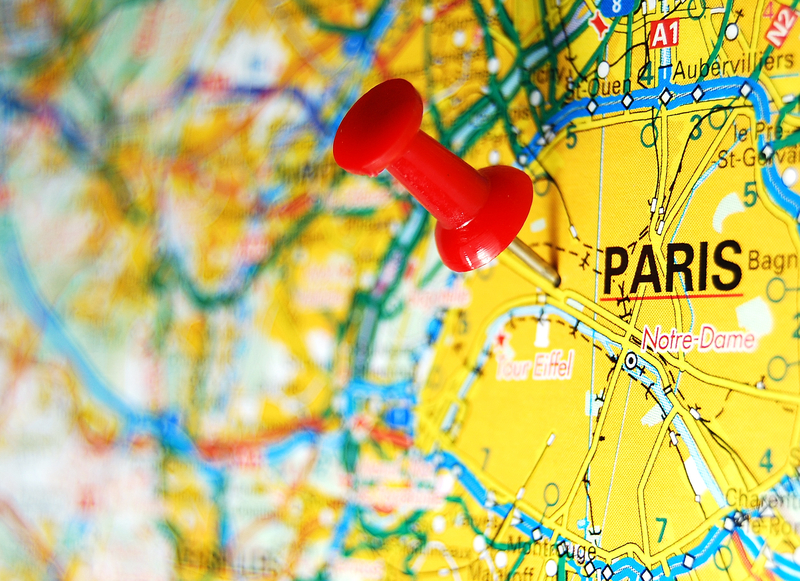 There are a lot of things that makes Paris famous – the Eiffel Tower, Arc de Triomphe, the Louvre Museum, and a whole lot more. 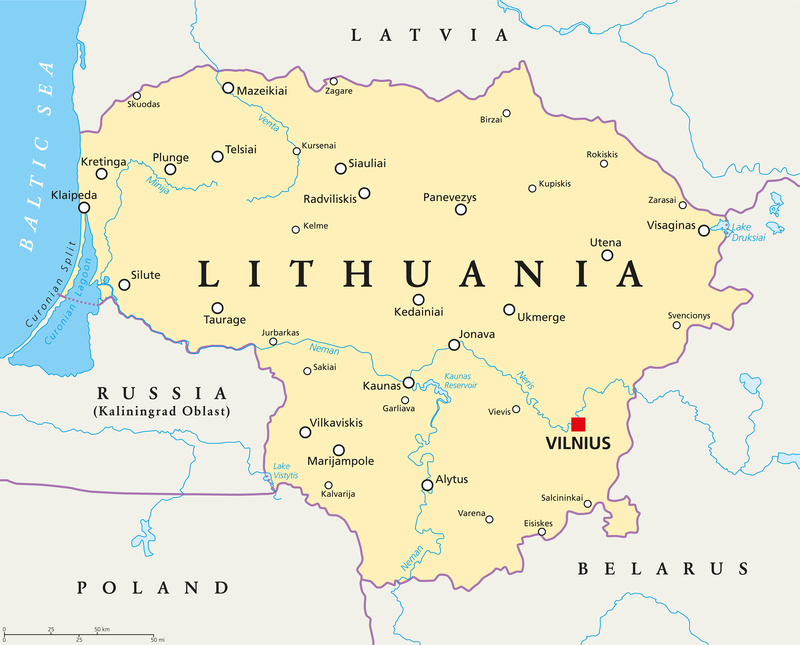 There are, however, other places to visit than these romantic and historical sites. The catacombs in Paris is one of the most popular destinations for people who want to see the other side of the City of Love. People have tried exploring the catacombs and ended up getting lost. Would you dare go inside these dark tunnels that are likened to a maze while surrounded by the remains of more than six million people? This underground cemetery was created in an attempt to stop adding more remains in the existing cemeteries since these already reached their full capacity. 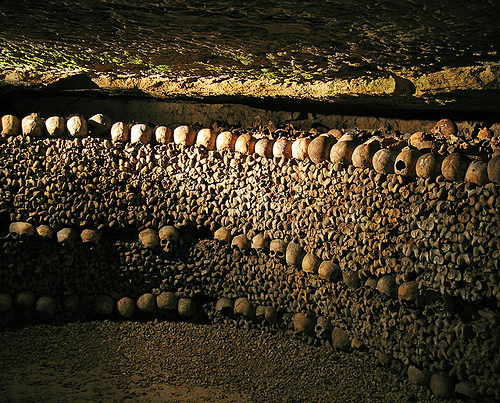 The construction of the Catacombs of Paris begun in 1774 until 1786. Many of the remains that were placed in the underground cemetery came from the existing cemeteries. Before the underground cemetery was built, the remains of the long dead had to be exhumed in order to give space to the new dead bodies. The bones were then placed in the roofs and wall of charnier galleries. Years after the construction of the Catacombs of Paris, it wasn’t that popular until it became an area for concerts and private events sometime in the early 19th century. 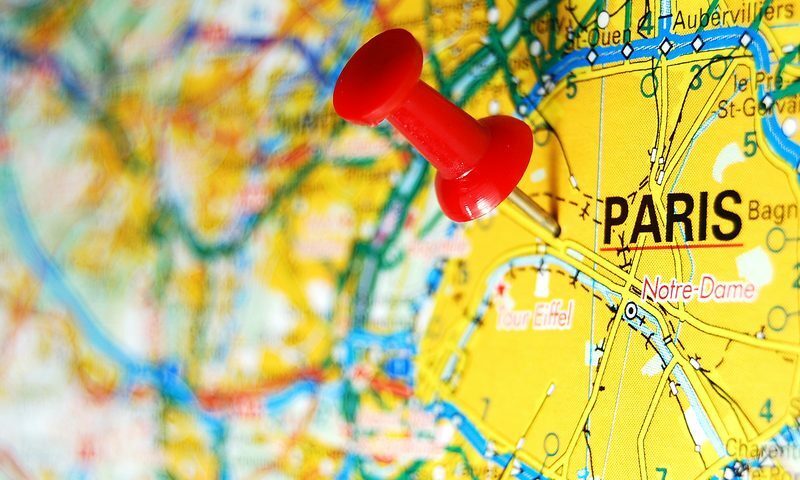 It was eventually opened to the public in 1874 and by January 1, 2013, the Catacombs of Paris were among the 14 City of Paris Museums that see a lot of visitors annually. Most of the remains that were taken to the Catacombs of Paris came from Saints-Innocents, which is the largest cemetery that had over 2 million buried remains for over 600 years of being operative, those from the Saint-Etienne-des-Gres, from the Madeleine Cemetery, from the Errancis Cemetery, which basically housed the bodies of those who died during the French Revolution, and from the Notre-Dame-des-Blancs-Manteaux. 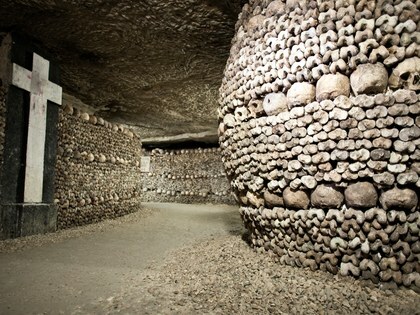 The Catacombs of Paris was not what it looks like now when it was first constructed. 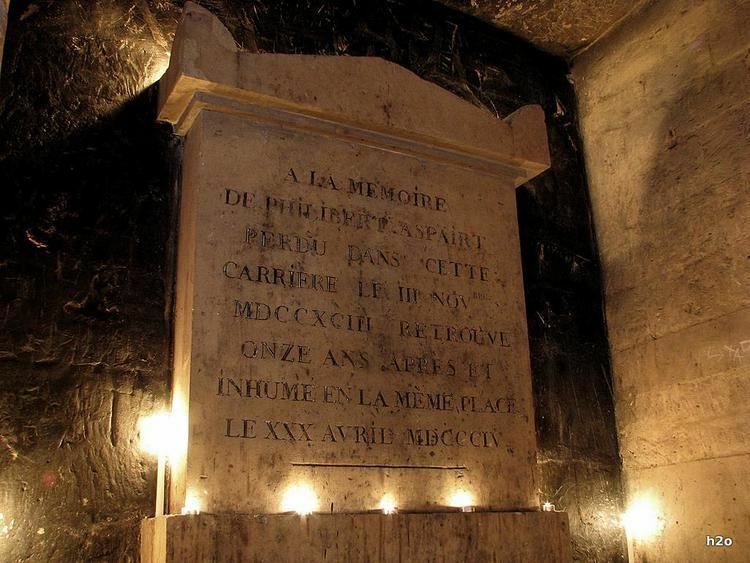 However, Louis-Etienne Hericart de Thury, who was then the director of the Paris Mine Inspection Service, decided that the remains should not be disorganized and that the Catacombs of Paris must be a visitor-friendly mausoleum. In the past, when the Catacombs of Paris were not yet accessible to the public, people were only allowed to go in a few times in a year. Being able to get in was not a walk in the park either because visitors had to get the permission of an authorized mines inspector. In 1833, however, the Catacombs of Paris had to be closed because a church opposed the showing of human remains via a public display. As the years went by, the Catacombs of Paris were open to the public more often and with lesser restrictions. Aside from the fact that there are millions of remains in the Catacombs of Paris, a lot of gruesome events took place inside the tunnels. 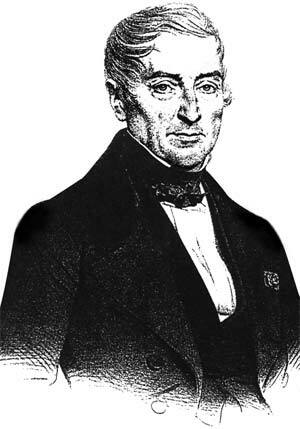 First, a hospital doorkeeper named Philibert Aspairt got lost in the Catacombs of Paris and his remains were found only after 11 years. In 1871, communards killed a group of monarchists in the underground cemetery. In 2015, Airbnb paid €350,000 to the keepers of the Catacombs of Paris and they offered to customers the chance to stay in the Catacombs overnight. 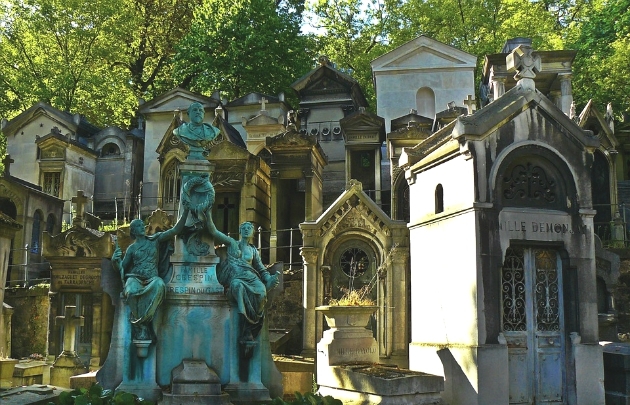 There have been a lot of stories claiming that the spirits of those buried in the Catacombs of Paris haunt the underground cemetery. The spirits belong to either victims of exploitation, those whose remains were transferred there after being exhumed from the other cemeteries of Paris, or those visitors who never got out of the Catacombs when they went in. Some say that cults steal bodies from morgues and take it down to the Catacombs of Paris where they will perform inhumane rituals on such dead bodies. Accordingly, these spirits would haunt you if they are disturbed. Some visitors said that they have heard the walls, where the bones have been placed, talking to them. Disembodies voices would also be heard in any part of the Catacombs of Paris and these voices lure visitors to go deeper into the underground cemetery until the visitors get lost – worst, until they never see the light of the day again. 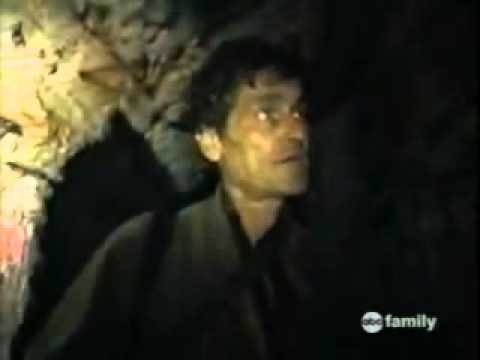 In 2010, cave explorers claimed that they found a video of a man who was exploring the Catacombs of Paris on his own. In the video, the man was lost and then started to panic. The man then dropped his camera and was never seen again. 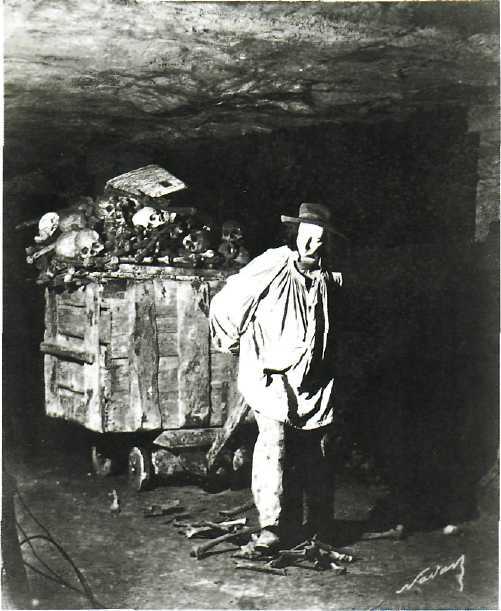 Allegedly, the man went mad because of the Catacombs of Paris. Such video has been doubted as to its authenticity but it was what inspired the making of the movie called “As Above, So Below,” which was released in 2014. The man was never identified but he was described as an experienced cataphile – one who explores tunnels based on historical maps and former expeditions. Because the man was said to be an experienced cataphile, people are asking why did he panic and why was he never seen again? Last June 2017, two teens got lost inside the Catacombs of Paris for three days. The teens, then 16 and 17 years old were eventually found by a rescue team that used rescue dogs to locate the two. There were no statements made by the teens but they had to be taken to a hospital to be treated. It was unclear what the extent of their injuries were. It was also unknown who alerted authorities about the teens being lost in the Catacombs of Paris.